As we embark on another pre-season of training we urge new members to join us…..
All over Nenagh, we see people catching the fitness bug. You can’t help but notice the increased numbers out running on the bypass or cycling on the N7 cycle paths. There has been a huge surge in the amount of people looking to get active, stay fit and change their life for the better. This has been aided, in no small part, by the formation of the Nenagh Triathlon Club 9 years ago. Now, as the Nenagh Triathlon Club are about to celebrate their 10th year of racing, the club would like to invite you to embark on what could be a life changing journey for you. Our pre-season training starts on Saturday, October 3rd and we would love for you to join us. The first step is the hardest, but follow it with a second, third and fourth step and soon you will be running marathons, completing triathlons or even cycling from the bottom of Ireland to the top! The Nenagh Triathlon Club actually consists of two clubs – we have the triathlon club which caters for people more focused on swimming, running and cycling. We also have the newly formed Nenagh Cycling Club (Nenagh CC) which is the cycling specific arm of the club for those that just want to get on their bike and cycle. Starting off 9 years ago, we had a membership of 22. Each year we have grown and now we have a combined membership of over 130, incorporating both senior and junior members. We have a competitive and a leisure side to our club, catering for all levels of competitor, from absolute beginner to elite athletes. Our aim is simple – provide a training framework for anyone who wants to improve their fitness. Each and every week we provide swimming, cycling, running and circuit training sessions for you to attend if you wish. You can choose to train once a week, twice a day or as many times as you can fit one in. Yes it can be a little bit daunting at first, but don’t worry if your fitness is not yet up to scratch as we offer beginner/improver training sessions to help you build that fitness slowly. For beginners, this October we will be offering beginner swimming lessons on Wednesday evenings. We also have a beginner run group that meet once a week. A new initiative starting in October is our beginner cycle group. You will experience a great sense of achievement as you see yourself progress from the beginner/improver group to mixing it with the best. No matter what your reasons are for training, it is important to have an ultimate goal in mind. Maybe that is just to lose weight or to make new friends. You will certainly do both at this club. We also like to provide big targets for people to hit. For example, a real highlight this year was our cycle from Mizen Head to Malin Head, a great adventure and challenge which was undertaken by 21 members of the club. We covered over 470 miles in three days, taking the route of the Wild Atlantic Way. Most of that group had only taken up cycling recently, so it goes to show you what is possible if you put your mind to it. For those who have a competitive edge, we can certainly provide events to push you to your limits. We have a number of members that compete at the top end of triathlon and cycling and their help and experience can help you to achieve big things in the sport. This year our ladies cycling team took part in the six stages, five days Rás na mBan cycling race in Co. Clare. This race is Ireland’s only women’s international stage race. This was the first time that a women’s team from Nenagh competed with riders from the rest of Europe and beyond. Next year, our men’s team will be entering Ireland’s premier bike race, the An Post Rás, for the second time. As well as all that, Darren Dunne competed for Ireland in multiple races all across Europe. Six club members completed the gruelling Dublin City Half Ironman and 34 members completed Ireland’s toughest triathlon, the Hell of the West in Kilkee. If you want to push yourself to your limits then you will find no better club. The club is not just about working hard and getting fit, it is also a great social outlet. Meeting up with your fellow members for an early morning swim, run, cycle or late night pint is uniting. No matter how tough conditions are – wet, cold, windy or hot, we always manage to smile and laugh our way through it. You can check out what is happening in the club via a number of different mediums. We have a very active web presence. You can find us at nenaghtriathlonclub.com or on Facebook at facebook.com/nenaghtriathlonclub. We also have a Facebook page for our junior cycling club facebook.com/nenaghccjuniors. If you have Viber on your Smartphone then you can also find us there. There will be details about all our autumn /winter training sessions on our website within the next few days. We are always very welcoming of new members, so if you are up for the challenge we will see you for pre-season training on Saturday, October 3rd. Contact our club chairwoman Maeve Ryan for more details 087-9602234. 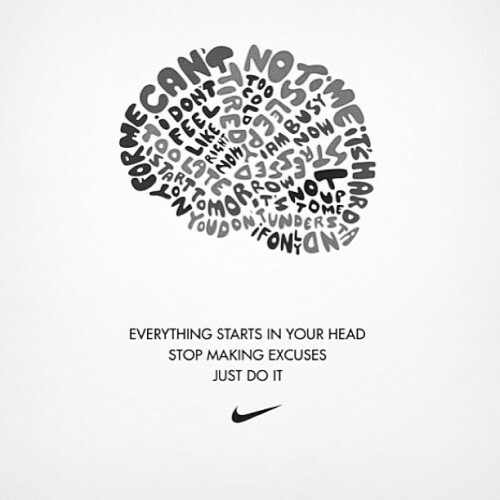 Nike said it best – Just Do It!